Manchester United target to join Lazio? Lazio’s Sporting Director, Igli Tare, has declared that Feyenoord centre-back Stefan de Vrij wants to join his club, despite claims that Manchester United were targeting the Dutch international writes Robbie Dunne. While the “Dutch international to Manchester United” rumours need to be taken with a pinch of salt, it would not be unthinkable given how well he played during Netherlands run to the semi-final of the World Cup. He was pivotal to the Netherlands’ solid defensive setup, alongside Ron Vlaar and Bruno Martins Indi as a back three. Lazio were initially interested in the defender, but their interest believed to have cooled due to the fact that Manchester United and, more importantly, Louis van Gaal had become interested in the 22-year-old but Tare remains adamant that de Vrij wants to play in Italy and for Lazio. De Vrij is comfortable as a centre-back but can also play as a right-back and he burst onto the scene during the 2009/10 season with his current club Feyenoord. He has since amassed 135 appearances for the club, despite being only 22 years old. Louis van Gaal played the defender in all six of the Netherlands’ World Cup 2014 games and he really excelled in the spotlight. He was immense against Costa Rica and Argentina, in particular. Manchester United’s depth at centre-back is poor having lost club captain Nemanja Vidic and veteran Rio Ferdinand during the summer. Lazio, on the other hand, could also do with a boost at the position. 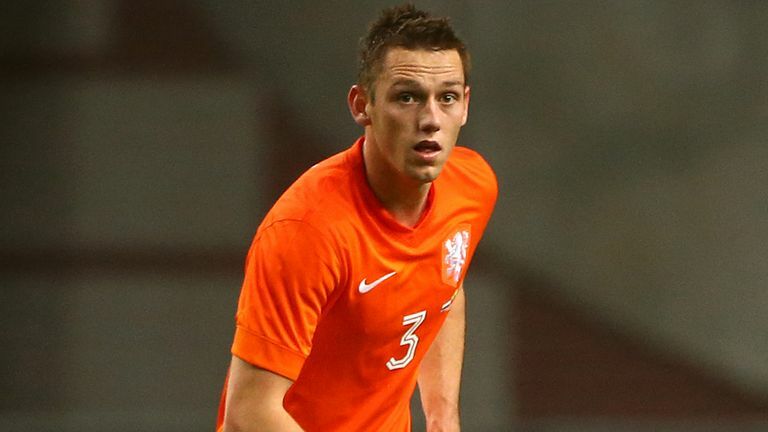 De Vrij’s contract runs until the summer of 2015 and could cost as little as €5 million, but Feyenoord are hoping to hold out for more as the transfer window draws to a close. Click on Robbie’s name above to follow him on Twitter.